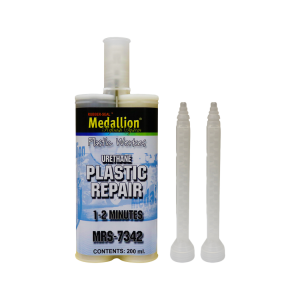 A two-component urethane based filler for repairing most automotive plastics. This quick-setting formula has excellent sanding and feathering capability, with minimal pinholes. MRS-7342 and MRS-7345 are 1:1 mix and can be used with or without a static mix tip.